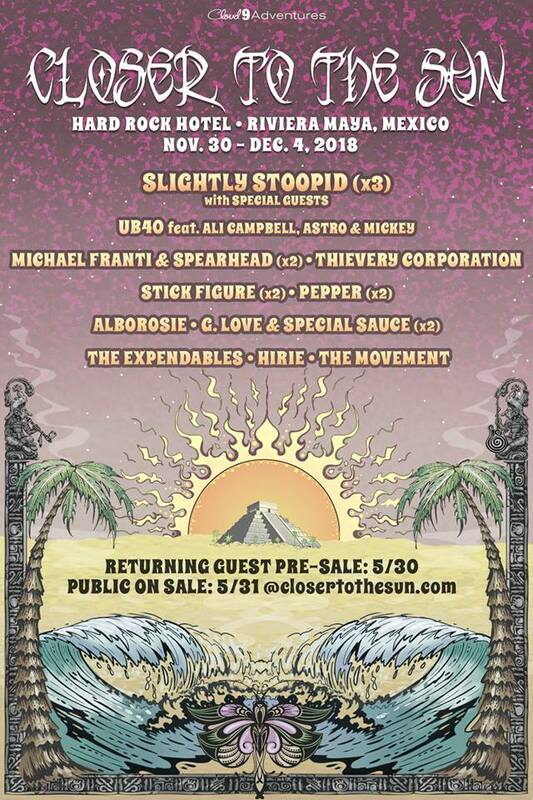 The moment all Stoopidheads have been waiting for since last December is finally here: Closer to the Sun 2018 has been announced and it's already set to be the sickest yet. 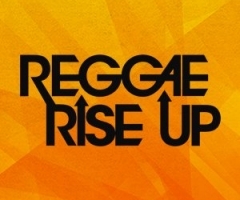 Going down on the shorefront of Riviera Maya, Mexico, Closer to the Sun honors reggae rock in all its glory with four full days of music and more. And, when we say more, there's a LOT more! 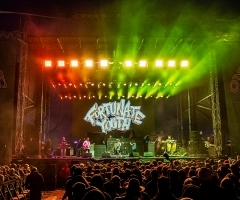 This all-inclusive getaway has something for everyone to stay entertained between musical performances without ever leaving the festival grounds. And, speaking of location, 2018 boasts an all-new venue! 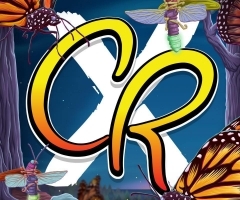 C2tS lovers, please look to the Hard Rock Hotel for their November 30th to December 4th stay. It may be a novel backdrop for the fest, but don't fret for one minute that the Hard Rock doesn't come fully-loaded. For the cost of the four-day fest, you definitely get the best bang for your buck. No matter where you are on the festival grounds, you'll be smack dab in the action. On that note, another new novelty for 2018 is that all guests get resort credits – just for staying! The amount of credits you receive depends on the length of your stay, for instance, a bare minimum four-night stay renders you a sweet $750! 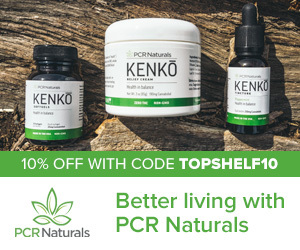 The fine print is that all resort credit transactions get taxed 20%, so really, you pay $20 for every $100 you enjoy in resort goods and services. Just keep in mind that these credits are granted per ROOM, not per person, so make sure your drunk roommate doesn't get too generous at the swim-up bar... Other fun festivities besides tubing and tanning include golfing, theme nights, activity zones, extreme sports zones, and naturally, snorkeling the ancient Mayan ruins residing just below the ocean surface mere minutes from your hotel suite. If you're already booking your travel plans without hearing the lineup, we don't blame you. But, let's talk music anyway. 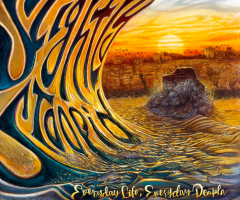 Naturally, the festival is based around Slightly Stoopid, so the headliners plan on returning south of the border for three performances throughout the weekend. This fest is about quality and quantity, so Stoopid isn't the only band gracing the stage more than once. Reggae greats UB40 featuring Ali Campbell, Astro and Mickey will be there, as well as world music magic men Michael Franti and Spearhead (who have two sets planned). You can't mention world music without including the most mystical trancers, Thievery Corporation! Stick Figure and Pepper are so nice, they're performing twice, as well as Philly-based G. Love and the Special Sauce. Single performances make Mexico memories all the more significant, so soak in HIRIE, Alborosie, The Expendables and The Movement while you can. No matter where you are on the festival grounds, you'll be smack dab in the action. This is because the Hard Rock has split C2tS into two sections, Heaven and Hacienda, to help guide your weekend. Hop back and forth between the two via complimentary golf cart shuttles running 24/7. Also complimentary around the clock is room service for all guests. Just saying. If you get turned around, the buildings are separated by color: blue for Heaven, terra cotta for Hacienda. Each building has their own perks, with the Lagoon Stage stationed in the middle, so don't worry about booking when the time comes. And, that time is coming soon! Presale tickets are available to returning guests May 30th, but act fast, for all tickets go public the day after 12pm EST. For travel information, passes and more, visit www.closertothesun.com.